WORDS AND MORE ON WAR. 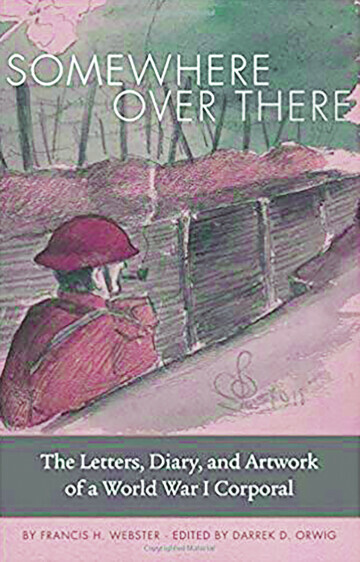 Durand-based writer Darrek Orwig has recently released Somewhere Over There: The Letters, Diary, and Artwork of a World War I Corporal. Juxtapositions are what led Darrek Orwig of Durand to begin work on a book about World War I. It was the idea of airplanes and horse-drawn wagons sharing the same battlefield, and his perception that American involvement in the war has been largely forgotten, that drove him to dig deeper. Orwig was introduced to the collection of Corporal Francis Webster during a research trip to the Iowa Gold Star Military Museum at Camp Dodge and found tangible inspiration in the corporal’s diary, artwork, and letters, and in those items, his experience of World War I. The result was Somewhere Over There: The Letters, Diary, and Artwork of a World War I Corporal. This book tells the story of Webster both before and during the war through his diary, artwork, and letters, meticulously organized by Orwig. On Nov. 9, the Volume One Gallery will screen Wisconsin Public Television’s University Place Presents: The Art of World War I Corporal Francis Webster, a film that delves into Webster’s experience during the war, touching on many of the themes and writings in Somewhere Over There. Orwig will be present to answer questions and sign books. Orwig believes Webster was intentionally preserving material for a book he planned to write on his experience of war, but ultimately, he did not have the chance to do so. “He was a Midwestern soldier who utilized the skills he developed as a cartoonist before the war to document his experiences during the war,” Orwig said. 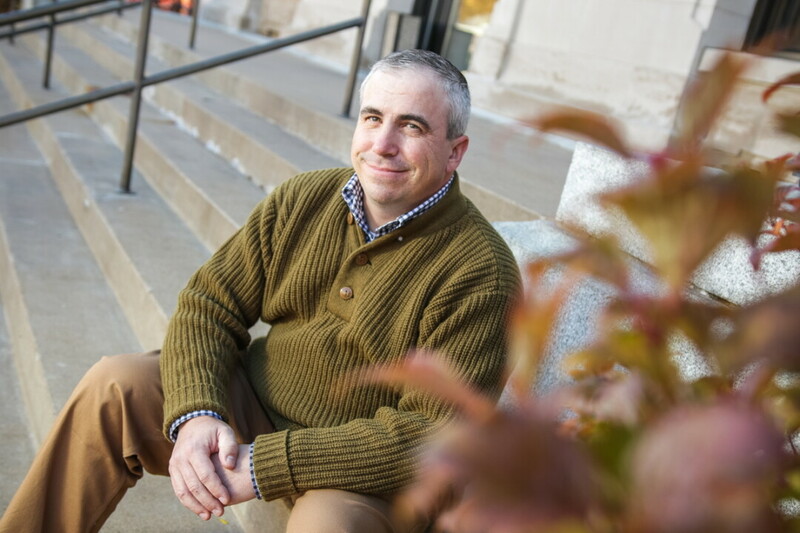 In publishing these materials, Orwig believes he is fulfilling Webster’s desire to have an impact on American history while also providing an academically sound, first-hand representation of the American experience in World War I. Copies of Somewhere Over There: The Letters, Diary, and Artwork of a World War I Corporal are available at The Local Store at Volume One.